Equipter is on the road! Check out a clip of our own Sam Beiler speaking to the audience about building local brands with affordable, effective, and scalable digital campaigns. 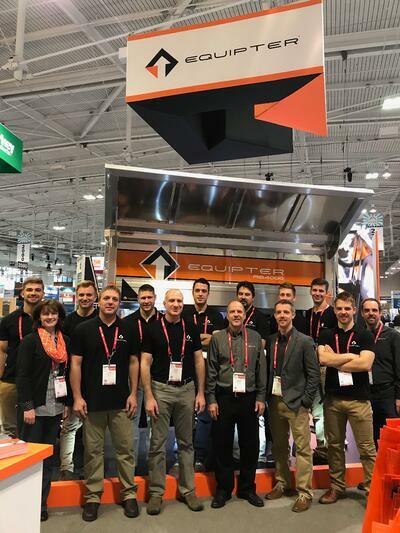 Thanks to everyone who helped make the 2019 edition of the roofing industry’s biggest event another great year for Equipter – and our neighboring booth and partner company Boostpoint. Check out this wrap-up including the video which played on our giant video wall! Unfortunately we were unable to make this event due to the winter weather. We hope to see you in 2020! Find us at Booth #263! Find us at Booth #819! Find us at Booth #1223! Equipter is proud to sponsor this innovative conference focused on new and improved ways to run your roofing business. Find us at Booth #503! Find us at Booth #420!